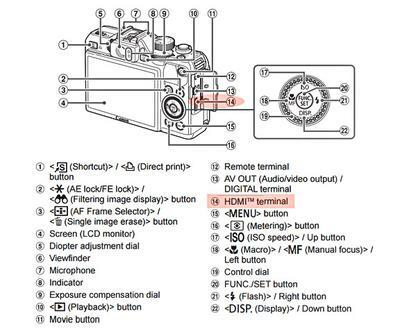 Is there a way to set up a G15 to see live images on a Tv screen prior to shooting? 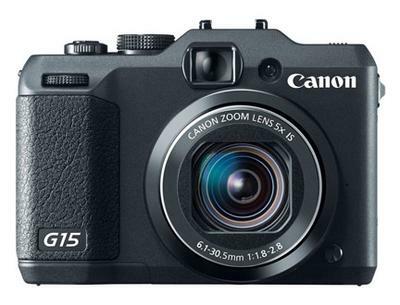 Hi Paul, Thanks for your question about the Canon Powershot G15. I've included a photo of the location of the HDMI port on the G15. You can connect to a TV using the HTC-100 HDMI cable or its equivalent. I have not personally used the G15. I believe it's easy to display video and still images already taken in the playback mode with the G15 by connecting the proper cable and entering playback mode. Unfortunately, I do not know if this can be carried over to record or shooting mode. 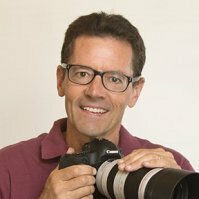 You do have the option of wirelessly transmitting to a computer screen while shooting with the addition of a transmitter mounted to the flash hot shoe. I've found the technicians at Canon to be quite helpful. By calling Canon directly for your territory, you'll get the answer you're seeking.